A whiskey story… We at Premier Wine & Spirits recently secured a new client based in Philadelphia who contracted us to create his whiskey brand from scratch. Our company has been doing more and more brand building and sourcing for products within our industry and this is one of 4 brand builds Premier has done in the past two months alone. This project was unique in the fact that our client had a very specific story he wanted to tell through the packaging and taste of the product. Jason (the brand owner) wanted to create an Irish whiskey that shared the story of his ancestors’ immigration from Ireland to the United States. He wanted this conveyed in not only the formulation but in the label design as well. So Jason and our CEO, Noah traveled to Ireland to visit one of the oldest and most acclaimed whiskey distilleries in the world, where they formulated the perfect blend to use for this project. 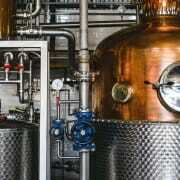 This distillery has created countless award winning formulas and it is a true honor to work with them. The whiskey will originate in Ireland and be shipped to the US, where it will be aged in American bourbon barrels for the finishing touch. 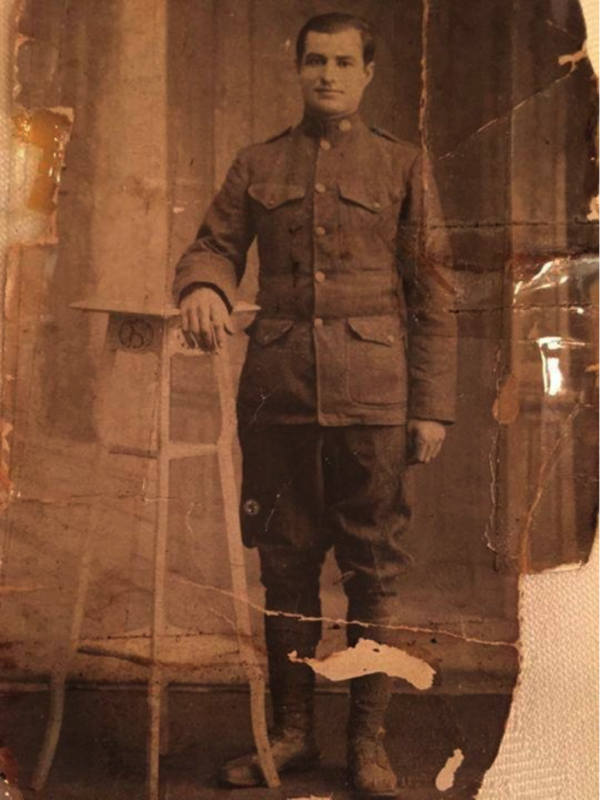 Just as his ancestors originated in Ireland and traveled to the US for opportunity, where their roots took hold to build a better life. 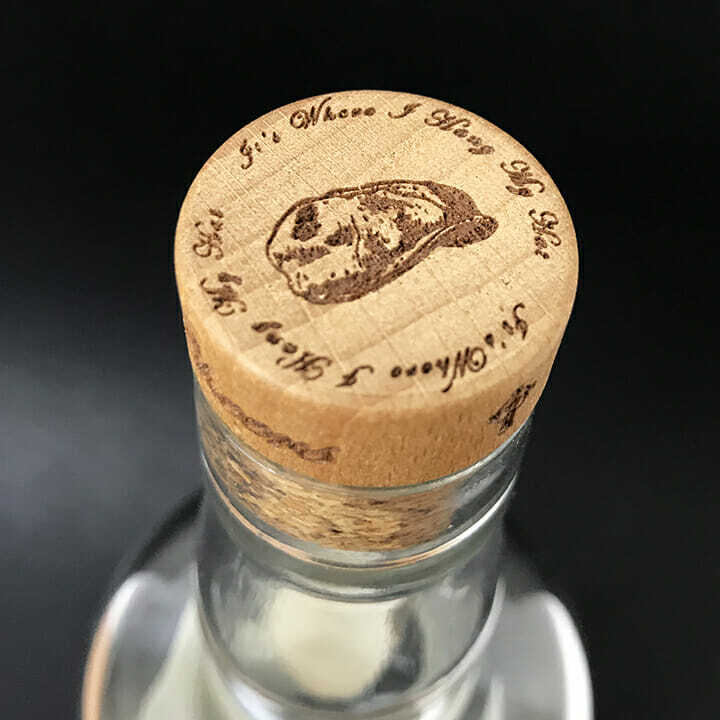 So when I started to conceptualize the design, it needed to be just as customized to the story as the whiskey itself. 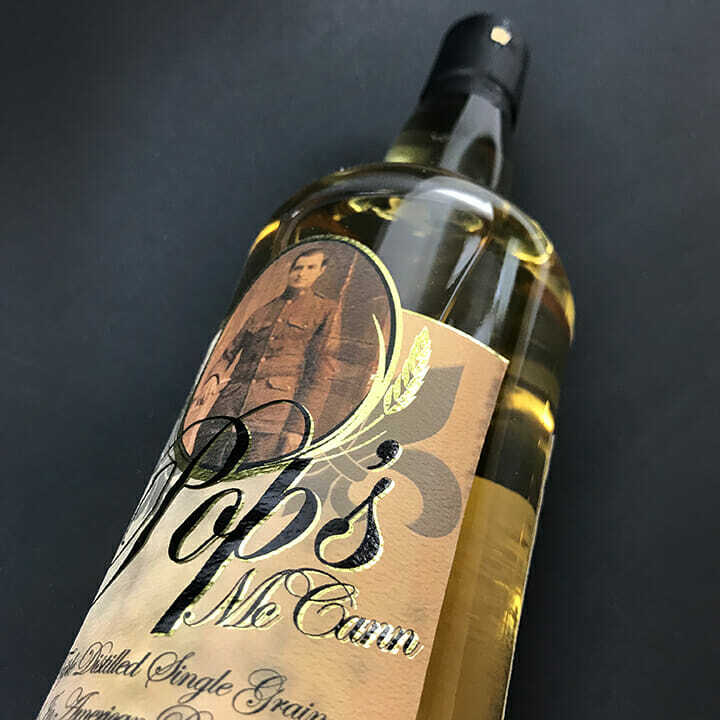 Jason wanted to pay homage to his great grandfather Pop’s McCann by naming the brand after him, as well as featuring his likeness on the bottle itself. 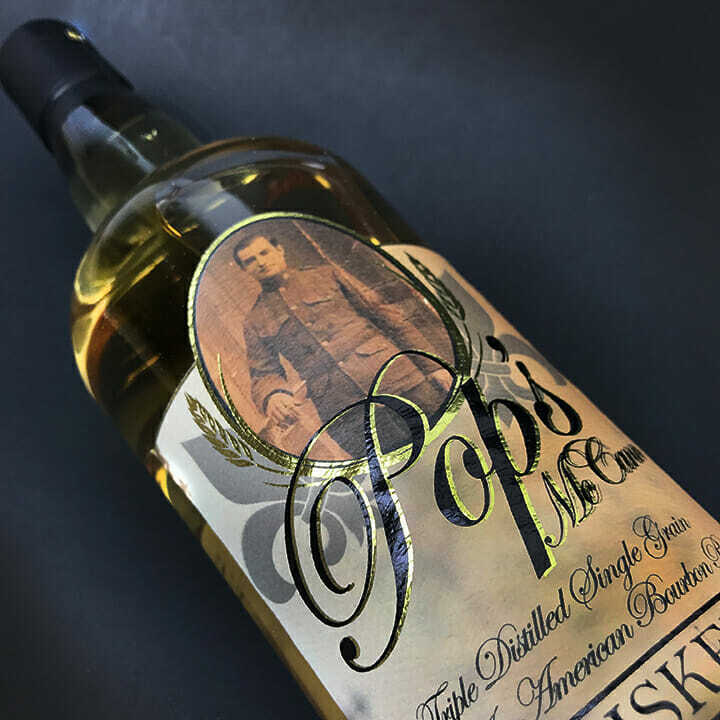 So with the name Pop’s Whiskey in mind, and a vintage photo of great grandfather McCann himself, the creative process begins. We wanted a thick, weathered paper for the label to represent the “traveled” nature of the brand. I pulled together a list of elements that rang true to the story being told. An imprinted image of the historic coffin ships that Jason’s ancestors sailed on from Ireland to the US. The fleur de lis in the background to represent their arrival to the southern NOLA port. Laser etched Gaelic Irish crosses representing their true Irish ancestry and “Jeff Cap” debossed on the top of the cap accompanied by the saying, “It’s Where I Hang My Hat”. Jason could not have been more excited with the final product and we could not be more proud to tell his story by creating a brand that truly encompasses the past, present and future of his personal journey. 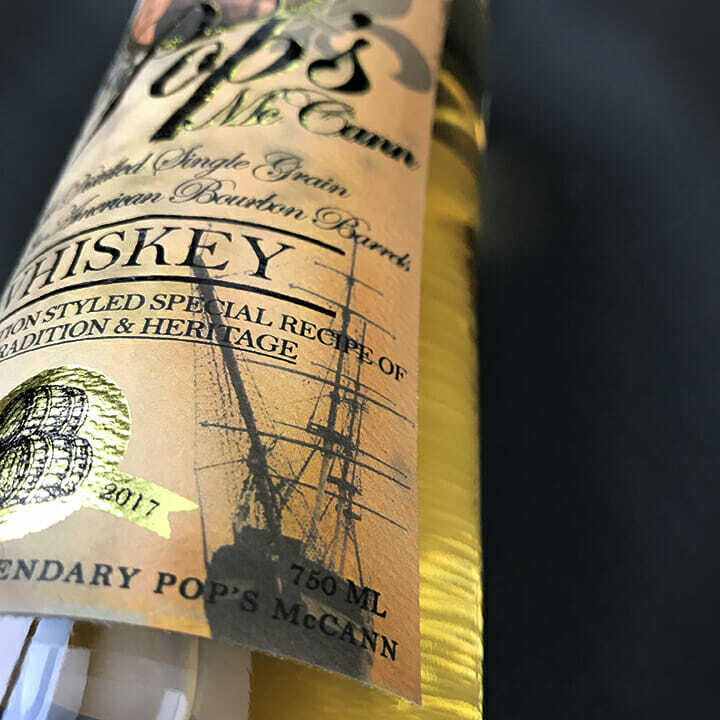 Pop’s Irish Whiskey has become more than a product, but a true embodiment of one family’s voyage, conveyed through a whiskey story. 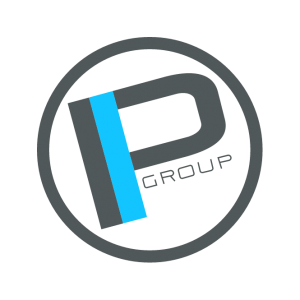 As the brand build comes to completion, Jason has informed us that he is so pleased with the process that he has invited our company Premier Wine & Spirits to become an equity partner in the brand. 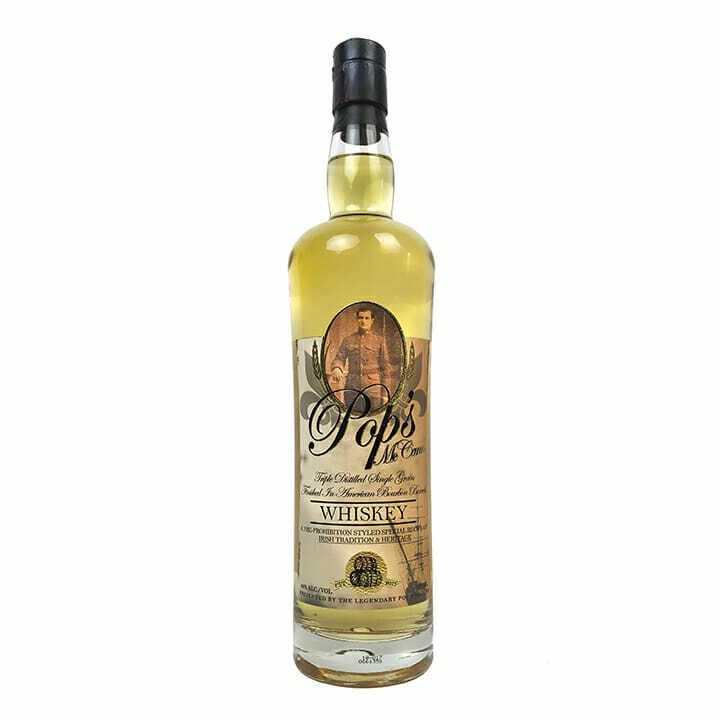 Which brings me to announce that Premier will now be part owner as well as representing Pop’s Irish Whiskey worldwide. The product is being launched in Pennsylvania as we speak, and we strongly recommend you pick a bottle up for yourself and give it a try. It is a truly unique brand with an equally remarkable story, as you now know. We are also currently in the process of 3 more brand builds for clients from all areas of the globe, and with such a focus on building brands for others, we will keep you in the loop on all the big announcements and product launches to come! With our new partnerships and facility capabilities we have become a true one stop shop for any and all needs in the wine & spirits industry. With everything that is going on it is hard to keep everyone up to date on things, but you can read all about our latest projects on our completely revamped website HERE. 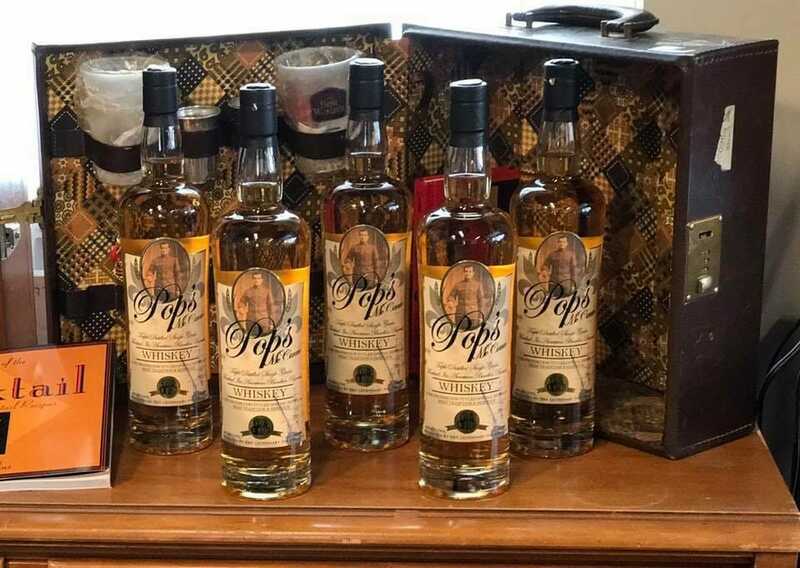 Pop’s is sold at most Fine Wine & Good Spirits stores in Philadelphia.